Dark rich colors for flooring are very popular right now both indoors and out. Many people are choosing darker colors for new hardwood flooring on the interior of their home. 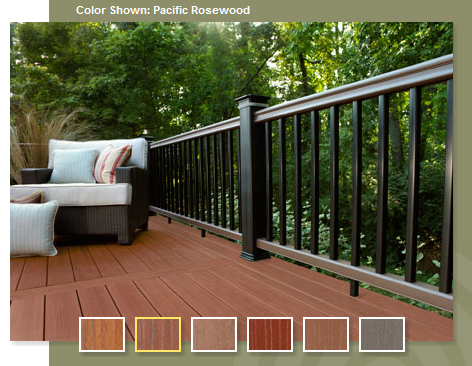 Similarly, many of our customers are choosing dark composite and PVC boards for their decking. 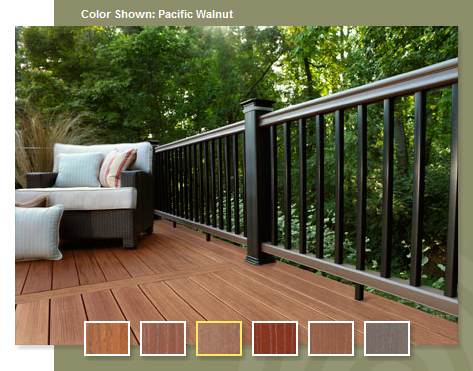 There are a couple of factors that might help with your decision whether to use dark colors for your new deck. There is the aesthetic side as well as the practicality side. Aesthetically, the dark colors such as AZEK’s popular Acacia color are stunning. They make a dramatic impact and have strong visual appeal as you see in the photo above to the right. 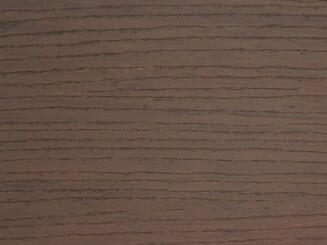 Here is a close-up of AZEK’s new Acacia color. This solid PVC decking board mimics the look of real wood. From a practicality side, the drawback to dark wood for your deck is it shows dirt more easily. It’s like your black car. It looks beautiful especially when washed but soon after, it quickly and apparently gathers dust. Luckily, composite and PVC decking is low maintenance which makes cleaning very easy. Often the surface dirt can be removed with the spray of a hose. Another consideration is darker colors will be warmer to walk on in the hot sun especially if you walk barefoot a lot or don’t have much shade. 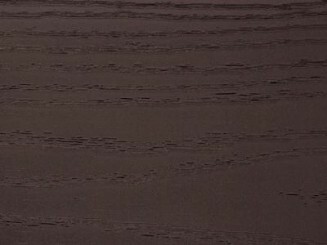 But, despite these challenges, AZEK’s new Acacia and AZEK Kona are two very popular dark colors from the AZEK line. From the TimberTech Earthwood line, Pacific Teak, Pacific Rosewood and Pacific Walnut are very popular. Below are color swatches for those colors. 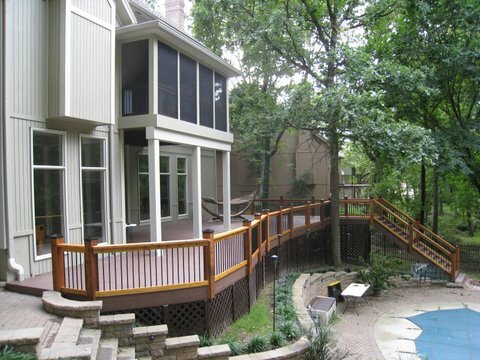 Give us a call for a free consultation (913) 851 – 3325 or send us an email kansascity@archadeck.net. We look forward to discussing your next outdoor project. This entry was posted in AZEK, Composite woods, TimberTech and tagged Archadeck Kansas City, AZEK Acacia Archadeck Kansas City, AZEK Kona Archadeck Kansas City, Dark AZEK decking Kansas City, Dark composite deck colors Kansas City, Kansas City AZEK deck builder, Kansas City deck builder, TimberTech Earthwoods rich colors, TimberTech Pacific Rosewood, TimberTech Pacific Walnut on April 18, 2012 by archadeckkansascity.